Almonds, when eaten in their natural and unsalted form are a delicious and nutritious snack that has numerous health benefits. Almonds are a rich source of various vitamins and minerals including vitamin E, calcium, potassium and magnesium. Moreover, almonds are also rich in protein and fiber and low in sugar. Almonds are the most nutritious and beneficial of all nuts. Apart from their good taste, there is great medicinal value attached to almonds, due to which people tend to add almonds proactively in their diets. Almonds provide many nutrients that are required for the health and development of human brain. Eating almonds is linked to development of higher intellectual levels. Two vital brain nutrients, riboflavin and l-carnitine are present in almonds, both of which have been linked to increasing activity of brain and in developing new neural pathways, thereby decreasing the occurrence of Alzheimer’s dementia. Various scientific studies have demonstrated that both almond oil and almonds in the diet are excellent source of nutrition for the overall functioning and health of the nervous system. Consuming almonds regularly aids in increasing the blood levels of high density lipoproteins (HDL) or the good cholesterol and in reducing the levels of low density lipoproteins (LDL) or the bad cholesterol. This balance is important for the maintenance of healthy blood cholesterol levels. Almonds contain many nutrients that are good for the health of heart. Some of these include proteins, monounsaturated fats, and potassium. Vitamin E present in almonds is a potent antioxidant and is helpful in reducing the risk of heart diseases, whereas magnesium present in almonds helps in preventing heart attacks. Almonds are also helpful in reducing the presence and action of c-reactive proteins that can cause inflammation damaging the arteries. Almonds are also rich in folic acid, which helps in reducing the levels of homocysteine, a compound that can enhance fatty plaque formation in the arteries. Moreover, the skin of almonds contains flavonoids, which combine with vitamin E and protect against damage to arterial walls. As already stated, almond is rich in valuable nutrients. One of these nutrients is phosphorus, which can have considerable positive impact on the health of bones and teeth, making them strong and durable. Phosphorus also helps in preventing the onset of conditions that occur due to advancing age such as osteoporosis. Your body’s pH is slightly alkaline and almonds are a rich source of various alkali materials. This also helps in strengthening the immune system, thereby increasing your ability to ward of diseases and various infections. Apart from increasing the alkalinity of the body, almonds are also a rich source of vitamin E, a potent antioxidant. Vitamin E helps in removing the damaging free radicals from the body, which contribute to various chronic and degenerative diseases in the body. Antioxidants such as vitamin E have a positive effect on all the major illnesses such as cancer, and heart disease. It has been demonstrated by researches that individuals who ingest large amounts of vitamin E are actually 30-40% less prone to develop heart disease. Almonds are a rich source of two essential fatty acids: linoleic acid and linolenic acid. These fatty acids help in preventing and reducing inflammation occurring in the body. Your body cannot produce these fatty acids; hence, almonds are an excellent source of these acids. Almonds are a rich source of potassium, which helps in blood pressure regulation. Moreover, almonds have a low sodium content, which helps in controlling the fluctuations in blood pressure. Almonds being rich in fiber help in the motility of food through the intestinal canal, thus preventing build up of toxins and subsequent development of colon cancer. Almonds help in reducing the reactionary increase in the levels of glucose and insulin after meals. This effect of almonds protect from the dangerous increase in blood sugar levels that occurs in diabetics after a large meal. Almonds also help in regulating the processing and absorption of glucose. Almonds are a rich source of folic acid, thereby, reducing the incidence of birth defects such as neural tube defects in new born infants. It also helps in the stimulation of growth of cells and formation of tissues. Almonds have sufficient amounts of folic acid to maintain the health of both the mother and the baby. If you are trying to lose weight, then unsweetened almond milk can be of help to you. The mono-unsaturated fats present in almonds helps in satisfying hunger and preventing over eating. The fiber present in almonds also helps in feelings of satiety. It has been seen in studies that obese people can benefit from a low calorie diet that is rich in almonds. Moreover, the fiber present in almonds helps in keeping the bowel movements regular, thereby helping in weight loss and eliminating toxins. 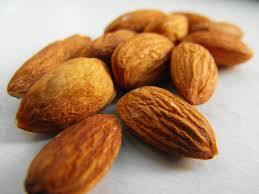 The high fiber content of almonds helps in preventing constipation. However, while eating almonds you should also increase your water intake. The amount of dietary fiber present in only 4-5 almonds is sufficient to keep your digestion healthy and your bowel movements regular. Almonds are rich source of riboflavin, copper and manganese. All of these help in production of energy and increasing the metabolic rate of the body. A handful of almonds can provide you enough energy for the day without providing significant calories or fat. It is a well-known fact that almonds help in improving skin’s health. Due to this it is often recommended to give almond oil massages in newborn babies. Moreover, almond milk is also added to some varieties of bathing soaps, because almonds are known to improve skin’s complexion.